It’s Father’s Day. What Father’s Day gift did you get your dad today? Taking him out for a nice dinner? Bought him a shirt, a pair of leather shoes, or a customized pen? These all sound very ordinary, to be honest. Why not bring your dad something unique and interesting as Father’s Day gift? Succulents like CAL Farms Beautiful Assorted Variety Succulents are always a great choice because they are easy to care for and they are inexpensive and they have a lot of variety that you can choose from. But don’t just simply give him a succulent plant that he will only have to water and put under the sun. Give him a DIY succulent that he could plant, grow, and propagate from scratch. You can put all the materials and the printed instructions in a wooden crate and wrap it with a nice gift wrapper. What are the materials your dad would need? Here’s a little rundown: succulent, small pot or container, soil, skewer, paper and glue. When you go to a succulent store or a local gardening store, you will pick out a succulent that is already planted in a nice little pot. That pot is nice, yes, but you can pick out something nicer for your father. There are plenty of options for you in terms of the pot and the container. You can buy a metal, glass, wooden, or terra cotta container and planter. All of them have great benefits (and disadvantages, too), so make sure you read about all of these things before picking out the right container. The factors you need to take into consideration are the climate in your area, the amount of rain you’re getting in a year, the accessibility to fertilizers, the type of soil that is in your garden, etc. All of these should play a role in your decision to pick out the kind of container that’s going to be ideal for your dad. Buy some well-draining soil and put them in the wooden crate along with the fertilizer you are getting for the succulent. Be careful though with the kind of fertilizer that you are going to buy. Some succulents don’t need fertilizer to grow, so you have to ask your distributor and the plant seller what kind of fertilizers the plant needs. When all of these materials are ready, print out a care instruction for your dad. Since succulents are easy to take care of, we’re sure the instructions would be minimal and the reminders would only be but a few. It is going to be easy for your father to plant and grow the plants. And since men love doing things themselves, wouldn’t it be nice for your dad to do something that does not involve tools? Plants should be nurtured, and believe it or not, your dad is also a nurturer. He was there to provide and protect you, isn’t he? Your father was there in your life when everything has turned their backs on you. There for you when your dreams are slipping away from you. 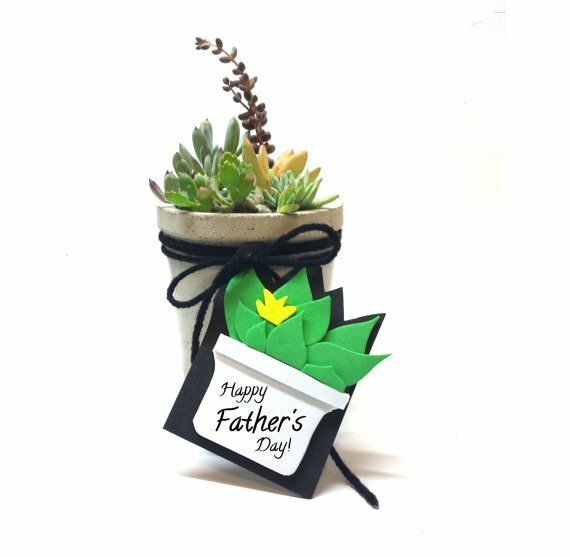 Your dad deserves a daily reminder of his awesomeness as a father, and succulents would be a great sign of that. It’s not a national holiday. It’s not even a government-recognized holiday. It’s just another regular day when succulents like CAL Farms 2″ Beautiful Assorted Variety Succulents could showcase how versatile they are. Father’s Day is that one day in a year when we could become emotionally attached and grateful to our fathers. While that should be an everyday feeling, we admit that we sometimes only remember the special men in our lives when this unofficial holiday weekend sets in. This year, you should give your dad something special that would remind him of you when he sees it. What could be a good present for your dad? What is it that could completely surprise delight him? Ah! Succulents it is! Succulents are houseplants (but there’s nothing wrong with using them in your home garden, too) that are easy to maintain and a delight to everyone. Men are not naturally nurturers. This means it takes a lot out of them to take care of the household, much less a houseplant. But our dads may feel differently because succulents are easy to maintain and it also gives them something that could interest them during their free time. There is always that pressure we put on ourselves when we take care of houseplants because some of them may be really expensive. But your dads don’t have to worry about that when it comes to succulents because they are fairly inexpensive. Just in case your dads accidentally kill them off because of too much neglect, you can easily get one for them again. They may even get it from gardening supply stores. And so when it comes to the pressure of growing succulents and making sure that they are alive, the fact that they are inexpensive is one of its main benefits. You can get succulents for as little as $3, making them a popular gift and souvenir in weddings and other special occasions. There are many types of succulents—from colors to sizes to shapes. Succulents are varied in form and there’s something for everyone. 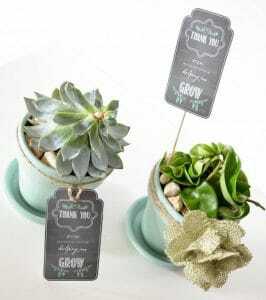 Whether your dad likes something small that he can put on top of his desk or he wants something a little ostentatious that could be the centerpiece of his home garden, succulents would have something that you can choose from. Sometimes, when it comes to choosing the right plants for our family, we become enamored by something that does not fit the personality of the receiver. When giving presents, try to find something that speaks to the character of the receiver rather than to the message you want to send. Finally, succulents are so easy to care for. They love the neglect. They do not seek attention or so much care. What they want is for your dads to simply water them once in a while and put them under sunlight when they need to. It lives even when they are left all alone and that’s the beauty of giving these as gifts. Your dads will not be under any obligation to spend time and money on taking care of the succulents.